For Senior High, there is the FaithWeaver NOW Senior High Handbook that includes the "Taking It Home" handouts for each week along with any other reproducible sheets found in the quarterly Senior High Leader Guide. 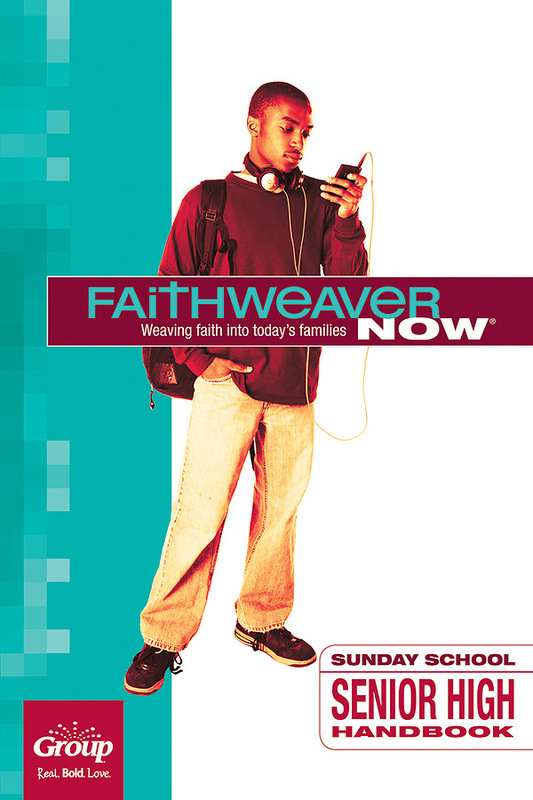 FaithWeaver NOW Senior High Handbook equips you to lead memorable, life-changing studies. You’ll learn together with—and from—other students who wrestle with the same issues you do. Together, you’ll work through those issues and give each other brand-new insights into how to weave faith into your life. You’ll have fun learning together. You’ll discover things you never knew about yourself, about each other, and about God. You’ll laugh together. You’ll probably cry together, too. But most importantly, you’ll discover how to weave faith into your life and walk with God for a lifetime. Here’s what you’ll find in your FaithWeaver NOW Senior High Handbook—including how to use each piece to get the most out of each week: BIBLE BACKGROUND This is a more in-depth look at the week’s Bible passage. Use it to gain a deeper understanding of God’s Word. THE JESUS CONNECTION This brief devotion will help you think through how this week’s study applies to your life and how to pray about this week’s point. DISCUSSION QUESTIONS These are the questions you’ll go through as a group and the specific passages you’ll look at. Use this page to follow along during the study. DAILY CHALLENGE Here you’ll have some options for how to apply each study to your life. Mark the one you choose as a reminder to live out your faith. QUOTABLES A get-you-thinking quote about faith, life, and whatever you’re learning about that week. FAITH JOURNAL Use this section to reflect honestly about the study each week when you go home. There’s even space for you to write about your insights. TALK WITH YOUR FAMILY You’ve learned a lot today, and so has your family. Why not cement the learning by exploring today’s point together? You can do that by using the activity and discussion in this section. Create a vibrant family ministry that’s new…that’s wow…that’s NOW. FaithWeaver NOW gives you a fresh strategy for being more successful than ever in bringing families closer to Jesus.